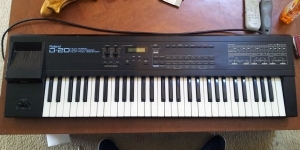 Synthesizer, Digital (D), Voices: 16, Multi Timbral Capacity: 8 part(s), Oscillators per voice: 2, Velocity Sensitivity, Number of Keys: 61, Size: 5, Production start: 1990, Production ended: Yes. Roland has two new products to offer – V-Combo top-quality keyboards. 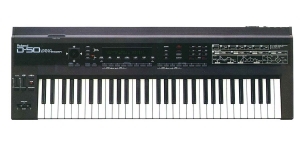 V-Combo VR-730 is a portable 73-key instrument with the onboard classic sounding organs and electric pianos including a selection from RD-2000 Stage Piano. As well as V-Combo VR-09-B it will provide you with the three sections of crucial tones for your performance comprising the Roland’s best of organs, acoustic/electric pianos and synth engines. Roland D-50 is back. In the form of another Boutique D-05 device! 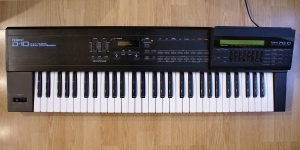 One of the most famous synths of all time, Roland's first digital synthesizer and mega successful in sales, involved in a variety of popular musical compositions and soundtracks of the late 80's and 90's. It was one of the first to open our eyes to the real power of the digital music and became the object of lust for many generations of musicians, and is still being bought and resold for decent money. It is the most recopied and revived instrument by the Japanese company itself. D-50 is a digital synthesizer with the LA - Linear Arithmetic - engine. On September 9, 2017, to celebrate the 30th birthday of the synth, Roland released another reincarnation, this time with no functional compromise. Meet the best-selling (in the foreseeable future) module from the Boutique series - Roland D-05! The Future. Redefined is coming and Roland is ready. The details for the festival opening in September have already been announced. Not only Roland will celebrate the 30th anniversary of the cult D-50 Synthesizer but will also introduce you to the brand’s new products in many categories including pianos, percussion, organ, wind and guitars.